When a brand is as strongly associated with quality engineering, safety, reliability, and value as Honda is, it’s worth your time to explore what its lineup has to offer. If you’re like many drivers in San Antonio—and pretty much everywhere else—you’re in the market for a midsize SUV. Allow us to point you toward the largest and arguably the most family-friendly of Honda’s SUV lineup: the 2018 Honda Pilot. This venerable midsize SUV covers all the bases when it comes to what shoppers in this segment are looking for: plenty of space for cargo and people alike, versatility, comfort, technology to keep everyone inside connected, safe, and entertained. It offers powerful performance and a smooth ride. It has available all-wheel drive for improved handling on all types of terrain and in all weather conditions. In its five available trim levels—LX, EX, EX-L, Touring, and Elite—you’ll find everything from a standard multi-angle rearview camera to available tri-zone climate control, a rear-seat entertainment system, Honda Sensing, a panoramic roof, and heated second-row captain’s chairs. And with such a wide assortment of trims and upgrades available, you can get exactly what you want and nothing you don’t need. What more could you ask for? A great price, you say? That’s exactly what you’ll get when you visit Fernandez Honda, your one-stop shop for Honda models of all kinds, plus high-quality pre-owned vehicles of all makes and models. The 2018 Pilot seats up to eight in supreme comfort—yes, even those in the third row, which is actually roomy enough for full-grown adults, unlike what you’ll find in many three-row crossovers on the market. If you upgrade to the top-of-the-line Elite trim, heated captain’s chairs in the second row bring the seating capacity down to seven but add comfort and class in spades. As is the case when you’re transporting a full load of passengers, it’s important to keep everyone happily occupied, especially on long road trips. The available rear entertainment system does just that, making the interior of the Pilot seem more like a home on wheels. For those times you have more cargo than people to carry, you’ll appreciate the 60/40-split second- and third-row seats. With both folded down, the cargo area expands to a cavernous 109 cubic feet. It’s not easy to stand out in such a crowded segment, but the Pilot manages to do just that. Its modern, bold design and eye-catching front grille and headlights give it a commanding presence that ensures it will never get lost in the crowd. The five trim levels of the 2018 Honda Pilot are powered by a capable, energetic 3.5L V6 engine that gets 280 hp and 262 lb-ft of torque. Two-wheel drive is standard on LX, EX, EX-L, and Touring models, with all-wheel drive as an available option. The high-end Elite trim features standard all-wheel drive. 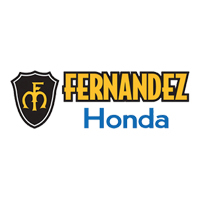 Why Shop at Fernandez Honda? Drivers in and around San Antonio, near Floresville and La Vernia, come to Fernandez Honda for all their Honda needs, from buying to leasing to service. Our team of friendly, knowledgeable associates is committed to offering superb customer service, which includes helping you find the right vehicle, getting you an incredible price, securing financing, and getting you on the road without any hassle or stress. Visit us today at 8015 IH 35 South in San Antonio and explore our extensive inventory of new, used, and certified pre-owned vehicles. We think you’ll be blown away by your whole experience with Fernandez Honda.